By the time of that 1991 release, however, the song itself was already well-known. 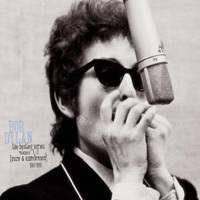 The Band, of course, had the inside skinny on new Dylan material during this period of relative seclusion and they didn't hesitate to capitalize on it. "The basement" of the The Basement Tapes was in a house in West Saugerties, New York shared by several members of the group. 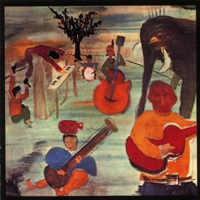 The house had pink siding, hence the title of their debut recording, Music From Big Pink, released in the summer of 1968. I Shall Be Released was on it, and remained a mainstay of The Band's repertoire throughout their years on the road. Here's how they did it. We could go on all day listening to covers of this song by everyone from Joan Baez and Nina Simone to Jack Johnson and Gov't Mule. And there are worse ways to spend a day. But I'll just include one more for reasons that may be of interest to those of you working on the Community Guitar arrangement of the song. This one is by the contemporary bluegrass outfit Chatham County Line. They just happen to play the song in the same key as we do, but instead of playing fancy-pants chords with lots of open strings ringing throughout, they bang 'em out straight and clear. In fact, the chords you hear on the intro to this cut are (leaving aside our Esus4, for which this guitarist substitutes a Hendricks-inflected riff) precisely those for which I provided diagrams on the page devoted to rhythm parts. I noted there, as I will here, that they offer a more straightforward alternative to the chord voicings we're using. In a jam setting with folks who are not familiar with our arrangement, these simpler chords are the ones you'd want to walk everyone through before counting it off. 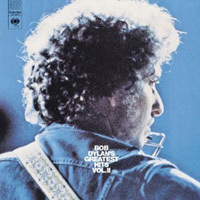 Really skilled players won't be thrown off by your slick arrangement, but most folks will be lost before you can say Robert Allen Zimmerman. 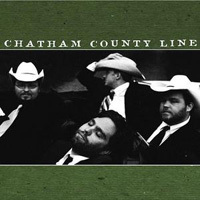 Audio Clip: Chatham County Line plays I Shall Be Released.